BRECKENRIDGE, Colorado – I'm a recovering California skier. I was raised skiing the Sierra Nevada mountain range at Mammoth and Tahoe. Since Mammoth offers a huge mountain and a low-key SoCal vibe and Tahoe delivers gorgeous lake views and a slightly more chic and fun après-ski scene, I never bothered exploring other ski resorts until I got older and smarter. With time and education comes curiosity. I made it to Utah in college when my childhood best friend attending Brigham Young University insisted I join her and the non-drinking crowd (a welcome respite from flowing undergrad kegs everywhere else) to ski Alta, Park City, and Sundance. Hello, powder! Hello, aspen trees! Hello, so different and so fun! I stuck with the Mammoth-Tahoe-Park City circuit until December 2013. A glorious morning on the slopes. My ski-nertia was real: It took me Utah plus two decades to get to Colorado. I skied Breckenridge and Vail for the first time a few weeks ago. While loyalty is generally a good thing, I've clearly been missing out. But let me explain (defend myself). I've avoided Colorado for one simple reason: It's colder on the mountain. Colorado's elevation means loads of snow (good) but it also means colder temperatures (brrr, bad). Let's compare: Breckenridge at its peak reaches 13, 000 feet above sea level. Mammoth peaks at 11, 000, and Park City a mere 10, 000. Those 3, 000 extra feet may mean more cold, but they also mean more SNOW. You get the point: Colorado is built for skiing. Its many mountain towns are easily accessible in less than two hours by car or on connecting flights from Denver International Airport, a huge, convenient hub with direct flights throughout the United States. Vail, Keystone, Copper Mountain, Aspen/SnowMass, are the big resorts. When you're planning a trip only a month ahead, the options narrow. 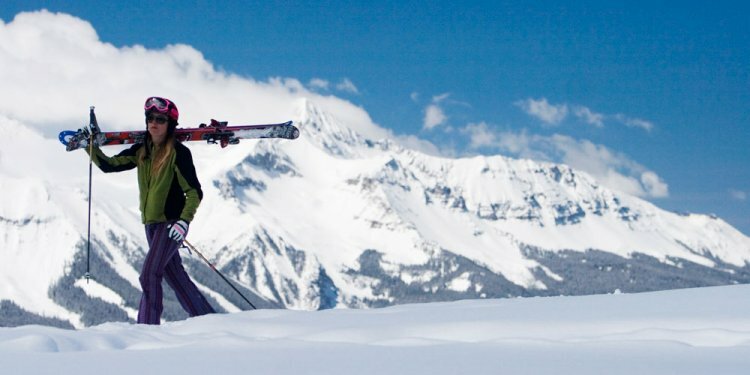 Aspen and Vail are not only exorbitantly expensive; they're also booked way in advance. Even Starbucks is cute on Main Street.